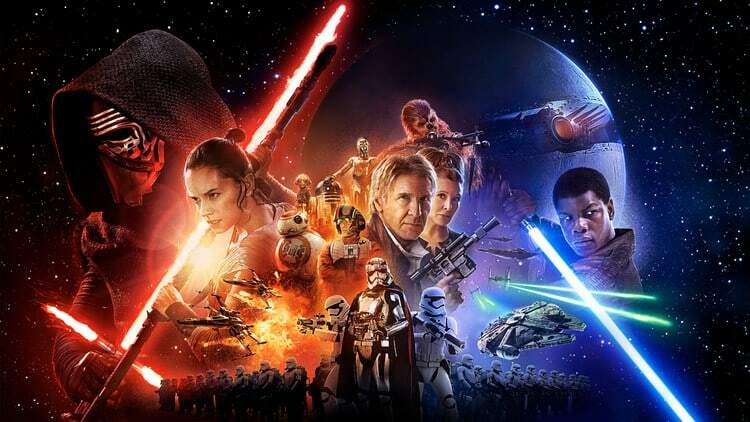 There’s been a lot of discussion about which trailers will screen in front of J.J. Abrams’ Star Wars: The Force Awakens. Since the movie is expected to shatter records at the worldwide box office, many studios have been trying to attach their trailers to the highly anticipated film. Thanks to an image by reddit user absolutbad, we now know that Disney has started sending out hard drives for IMAX screenings of the movie to theaters and on the front of said HDDs is a list of all the trailers that we’ll see with the movie next week. The list includes the first official trailer for Independence Day: Resurgence, a new trailer for The Jungle Book, an exclusive trailer for Deadpool and the previously released Batman v Superman: Dawn of Justice, Captain America: Civil War and Warcraft trailers. It has been confirmed that the Deadpool trailer will be a special 30-second IMAX teaser which you definitely won’t want to miss. That’s quite a lot of trailers, but I think we can all agree that it will be awesome to see them on the big screen. Which trailer are you most excited for? Let us know in the comment section below.